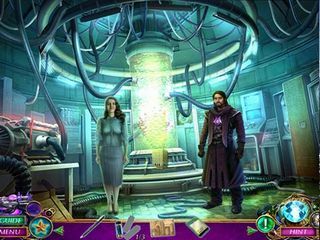 Amaranthine Voyage: The Orb of Purity Collector's Edition is a new hidden object puzzle adventure game from the studio Eipix Entertainment known for a couple of other great installments, like Phantasmat: The Dead of Oakville (the last release in the Phantasmat series). It is going to be a sci-fi and magic mixed together for quite an adventure in this challenging game. You are called in by professor Bennett to a not so easy task. She's been reaching some success in her research of the harmonium. When suddenly a visitor from a different world came through the portal urging her to help him protect his world and the Earth. Since harmonium is your specialty, you are asked to help them save the day. Now you are set for an advneture with the two. 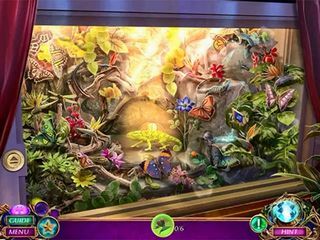 You will have to solve quite a few mini-games, hidden object scenes and puzzles to make your mission a success. It is going to be a sci-fi and magic mixed together for quite an adventure in this challenging game. The game's graphics are colorful and detailed to depict all the big and small parts of the parallel worlds. The game includes 7 chapters including the bonus chapter. The game can be adjusted to your liking and skills. You are free to choose from four different modes of difficulty including Custom mode, that is even more adjustable (for puzzle skips and hint seconds). Part of the Collecotor's Edition content are the replayable mini-games. So if you like to rush through the story, you can skip quite a few of them and replay them later. There are replayble HOS too! 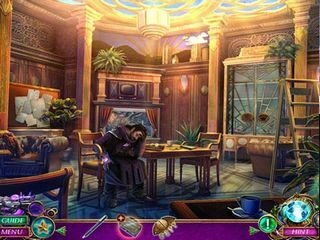 The hidden object scenes are based on different kinds of searches. Some of them are lists, others are silhouettes. Apart from the HOS items you will need to look for the owls scattered around the scenes as collectibles. souvenir room, graphic, video, and music downloadables. If this adventure is too tough for you, you can also use the built-in strategy guide. Most of the Amaramthine Voyage series fans will probably enjoy it. This is Amaranthine Voyage: The Orb of Purity review. Download this game here.